Responding to news that Tokyo’s High Court has overruled a lower court, and denied a retrial to Hakamada Iwao, 82, who spent more than four decades on death row, Hiroka Shoji, East Asia Researcher at Amnesty International commented: “Today’s ruling is a gross injustice and flies in the face of the facts. Hakamada’s conviction is based on a forced ‘confession’ and there remain serious unanswered questions over DNA evidence. “Time is running out for Hakamada to receive the fair trial he was denied 50 years ago. Any appeal by Hakamada’s legal team should be heard without undue delay. Hakamada is elderly and has poor mental health because of his many years on death row. Hakamada Iwao was sentenced to death in 1968 and was the longest-serving death row inmate in the world. After an unfair trial, he was convicted of the murder of his employer and his employer’s family. Hakamada “confessed” after 20 days of interrogation by police. He retracted the “confession” during the trial and told the court that police had beaten and threatened him. He was temporarily released from prison in March 2014, when a district court granted him a retrial after new DNA evidence cast serious doubt on the reliability of his conviction. 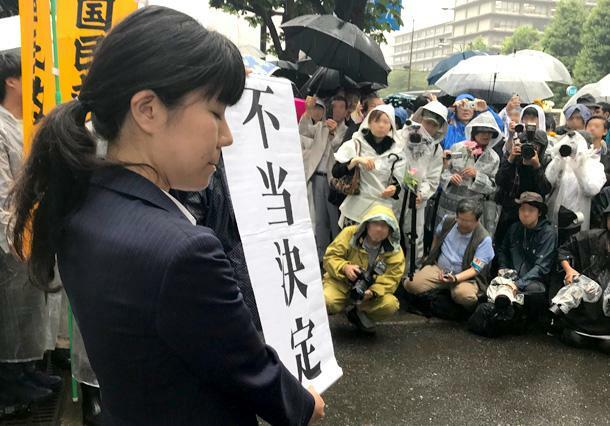 The decision to open a retrial was also based on more than 600 pieces of evidence which the prosecutor was ordered by the court to disclose after Hakamada submitted his second request for a retrial in 2008. Some of this evidence undermined the veracity of earlier evidence. Amnesty International opposes the death penalty in all cases without exception regardless of the nature or circumstances of the crime; guilt, innocence or other characteristics of the individual; or the method used by the state to carry out the execution.